The global market for fast food restaurants is massive with many chains competing with each other. In the United States alone, close to $200 billion were generated back in the year 2014. Leading the way is McDonald’s which had revenue of $25 billion and is still considered the most valuable chain in the fast food industry in the world. Even though it is the most valuable, sometimes depending on the country it is not the most popular as in the case in Japan. 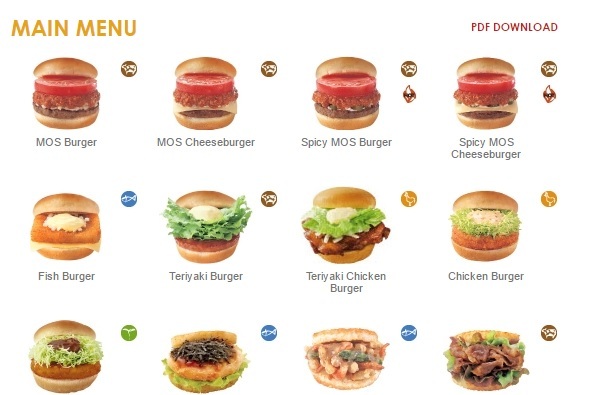 Mos burger is the most popular chain in all of Japan based on a survey done there, but McDonald does come in second. What makes Mos Burger so popular Japan? Yes we know it could be because it is Japanese but out of curiosity let’s look more into the company. The first Mos restaurant started back in 1972 and opened its first restaurant in Tokyo (Narimasu area). It is founded by Mr. Sakurada and the headquarters of the company is located in the Shinjuku prefecture of Tokyo. We want to mention that the company focuses on quality value while using quality ingredients. 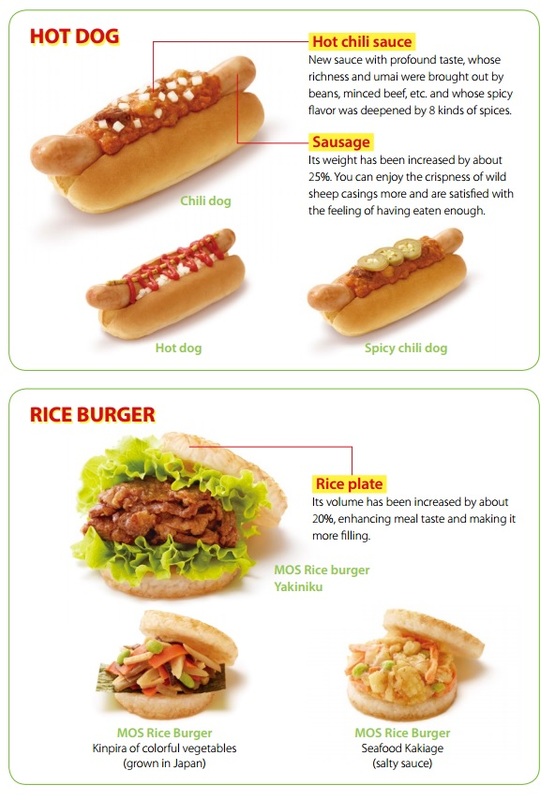 The classic Mos Rice Burger started to use rice as an ingredient for their buns back in 1987 and still does today. The current mix is rice, millet and barley. 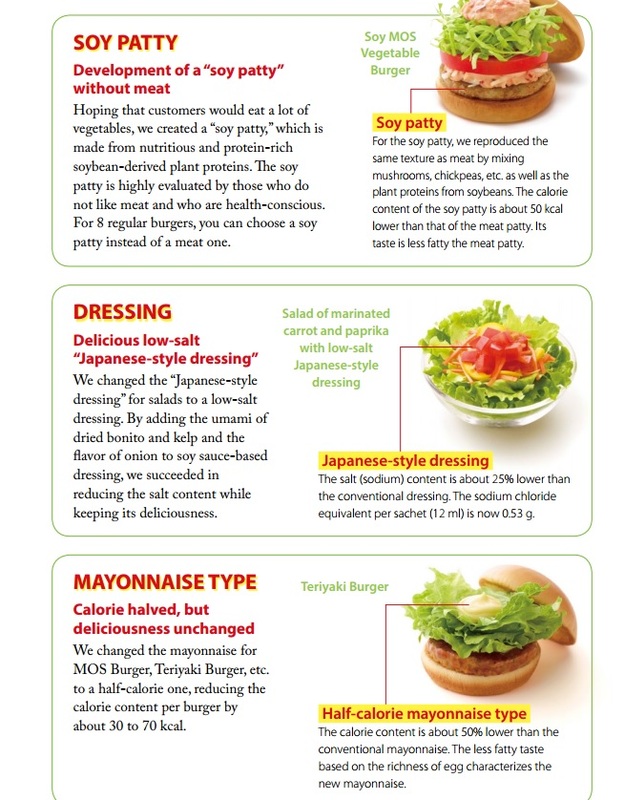 Enough talk, let’s look at the menu pictures and here is a snippet of their main menu for burgers. One interesting fact that we found is that the old motto(maybe still is) was "Japanese Fine Burger and Coffee." They serve premium (blended) coffee and apparently they offer one free refill if it is in within the same day depending on the shop. End of Fiscal Year 2016 (March) – The group made sales of over 70,000 million Yen (an increase of 7.2 percent from the previous year). In USD this is equivalent to 650 Million Dollars. Scenario: Let’s say you’re super hungry, on a super tight budget, and absolutely love sushi. If you’ve got a weak spot for desserts, yet the guilt of eating something that’s just not good for you is stopping you from indulging, why not try desserts with Matcha? Kagoshima, Japan's southernmost city, might not be at the top of the list of places to visit for most travelers, but it should be.